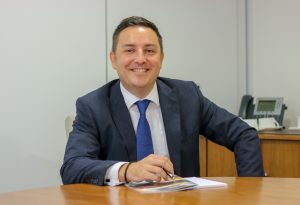 Sam joined the team following a long and successful career with HSBC, where he was an award winning Financial Adviser both in Personal and Commercial advice, over an 18 year period. Sam strongly believes in the value of a local long term financial planning relationship with his clients and believes that now he can set his own standards when dealing with clients and providing advice. By understanding clients needs in depth and providing a high level of service and building trust over time, Sam ensures he can service his clients needs and deliver a bespoke personalised proposition and service. Sam is now the owner of Northseam Limited and the business support provided by the Vision group means Sam can do what he enjoys most, and look after his clients, their families and their financial arrangements and needs. Outside of work Sam enjoys spending time with his wife and 3 children and is a life long supporter of Yeovil Town FC.